Well I have one inbuilt in my car, but if you don’t take a look at Navmii – a FREE smart navigation and traffic app for iOS and Android. The Navmii app does not cost a penny, but the real savings come in the shape of its offline maps. The navigation function works perfectly offline, even in the middle of nowhere, directing you to your destination without gobbling up expensive mobile data. 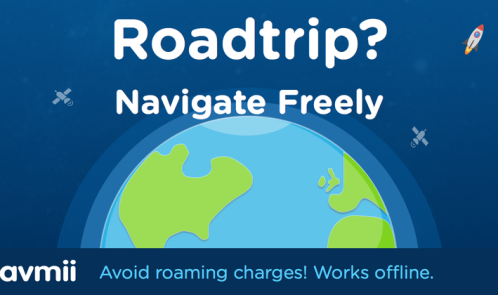 If you are off on holiday or on a road trip this summer, you can navigate the length and breadth of Britain and 190 countries around the world without fear of exceeding data limits or clocking up even a penny in data roaming bills! It is the perfect travel accessory with a number of useful cost/time saving features. It has Trip Advisor and Foursquare integrated, so you can quickly search for nearby places to eat, sleep and visit. If you want to find cheap local places to catch a meal or bed down for the night, you have a long list of options to peruse at the tap of a button no matter where you are in the world. Another nifty stress saving feature is ‘Share My Trip’, which allows users to share an ETA and journey progress information with friends and family via a live map link. For example, if you wanted to notify your Airbnb host that you are on your way, you could share your journey with them and they would know your exact arrival time.